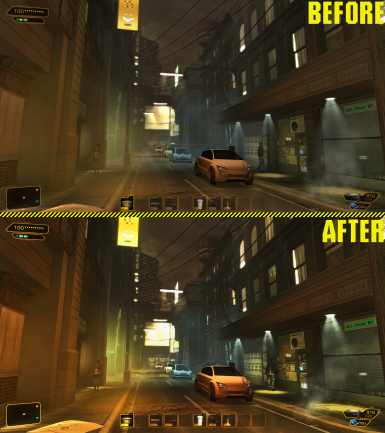 As Deus Ex Human Revolution Director's Cut is a technical nightmare running on DirectX 9 (which Boris Vorontsov has an ENB plugin for) this is meant as an alternative for people who play the Director's Cut edition and can not manage to set it up in a way that uses ENB/DX9 and runs smoothly. Being struck with that myself I created this ReShade preset to update DXHRDCs visuals to 2018, running on DirectX 11. It makes the image less flat, enhances the dynamic range to a great degree, sharpens the image and adds very subtle Bloom, Film Grain and Motion Blur. 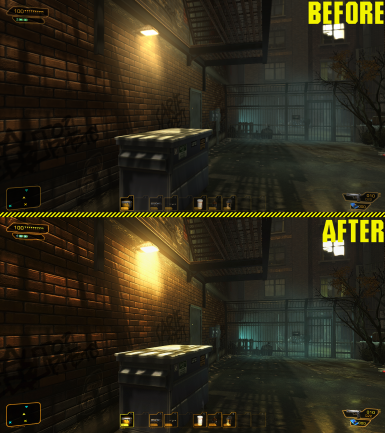 See the preview images to get an idea how the effects look. 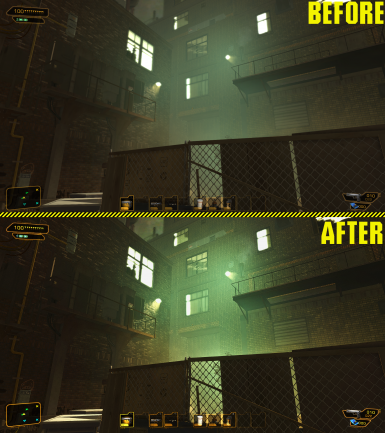 This was built using Deus Ex Human Revolution Director's Cut (build 2.0.0.0) and ReShade 3.4.0 and should work with all subsequent ReShade versions. 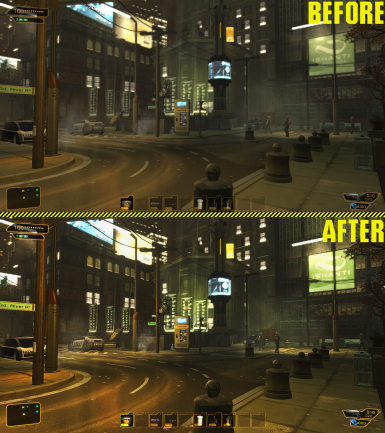 Make sure your game is set up to use DirectX 11 as rendering API or this will not work! Go to ReShade.me﻿ and download the most recent ReShade. Install ReShade browsing to your DXHRDC installation and select DXHRDC.exe. Select Direct3D 10+ as rendering API. Download shaders from ReShade and select all*. Extract dxgi.ini and DERP.ini from DERPs ZIP archive into your game directory, overwriting all files if prompted.